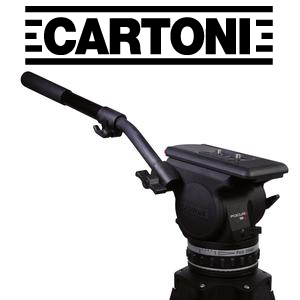 Audio Services Corp. (Canada) Ltd. and Cartoni are pleased to announce that as of April 18, 2016, Audio Services will be handling the distribution of Cartoni products in Canada. Products include system packages, fluid heads, tripods and jibs, pedastals, and accessories. For further details on any of the Cartoni products please contact Alex Bernardi or a Cartoni dealer near you. Aaton's Cantar X3 is a masterfully created mixture of ergonomics, functionality and beauty. Paired with the Canatarem2 mixing surface, it offers the sound mixer a compact and extremely powerful solution with features and craftsmanship simply not available from other manufacturers. 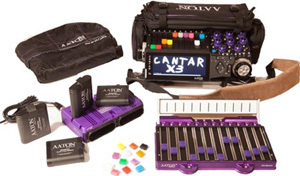 The Cantar X3 will of course, just record...but the tools available here will help you to improve your mix too. If you'd like to learn more, give Bill a call for further details and pricing. Sound Devices have announced the new 688 and SL6, which can be seen on their website here. The 688 and SL6 are available for order now. Please call for details. We are now a Cinela dealer. Their full range of suspensions and windshields are available to browse here. They incorporate technical solutions which allow an optimal compromise between handling noise and firmness of the microphone at the end of the boom. New expendables available! LMC Sound's COS-11 vampire clips, small rubber mounts and other accessories are now available. See the full scope of what is available here. We've also carry Moleskin and now Sole Mates heel protectors (check them out here). Meet the new Baby TX (here)! The latest MICRON is the all-new TX700S Small Transmitter aimed at concealed use in dance and drama. It has been made as slim as is practical using AAA batteries, only 13mm, with well-rounded corners for user comfort. Battery life can be up to 10 Hours on two AAA Lithium cells, or 5 hours on normal Alkaline. The user can program channel sets and transmitter power with a Web app. via the Mic. socket. Gain and Channel setting can be adjusted easily at point of use with simple rotary controls. It is compatible with the MICRON 700 and Explorer 100 Series. New firmware available now for your Sound Devices 633 (here) and 644 (here) mixers. New Sound Devices Mixer: 633 They've done it again. See Sound Devices category-defining new mixer at their website, here. Available on its own, or as a kit with bag, batteries, cables, and cards! Call for pricing and availability. Ambient Recording GmbH has announced their new premium boom pole, the QS Boom . Shipping beginning mid-May, the QS is their masterpiece; their aim was to create a boom so stiff, lightweight and well balanced that the boom op can control his microphone like a surgeon controls his scalpel (but from an 18 feet away! Pre-order now! Deals! Deals! Deals! We're clearing out some of our old inventory to make way for new stock! Come into the shop today for amazing deals on discontinued Portabrace and Lightwave items, handy problem solvers, used and new mixers and wireless, expendables, and more! You can find some of the items listed here but there's more (so much more!) in store. Lupo's new Lupoled 1120 DMX Controlable Dual Colour LED light is now available in store. Call to arrange a demonstration. At Audio Services Corporation, we stand behind what we sell. Thats why manufacturers like IDX, Blueshape, Cartoni, Audio Engineering, Nagra, Audio Limited, and many more rely on us to be their regional service center. If you want service, you've come to the right place! Did you know that Audio Services Corporation rents flourescent fixtures and HMI spots? You do now! Call for details. Audio Services Corporation (Canada) Ltd. - ASC for short - was started over 25 years ago by Alex Bernardi with just a few radio mics rented from a film camera shop. From Alex and ASC's humble beginnings working from that camera shop, Audio Services Corporation has grown to become Canada's first and foremost supplier of location sound equipment. With 60+ years of collective industry experience under their belts, the employees of Audio Services Corporation have the tools and the knowledge to help your productions run as smoothly as possible. We'd love to hear from you, whether it be a product inquiry, rental quote, service question or request for advice. In the Toronto area, please phone 416-251-5409. Outside of the Greater Toronto Area, please feel free to use our toll free number: 1-877-251-5140 (toll free in the Continental U.S. and Canada).